Ish Salon is a high-end, full-service salon specializing in precision cuts, texturizing, hair extensions, corrective and custom coloring. It’s also one of only a handful of certified Brazilian Blowout salons in the area. In addition to hair, an on-staff esthetician performs facials, waxing and other skin-care treatments. Ish is a high-end, full-service salon specializing in precision cuts, texturizing, hair extensions, corrective and custom coloring. It’s also one of only a handful of certified Brazilian Blowout salons in the area. In addition to hair, an on-staff esthetician performs facials, waxing and other skin-care treatments. Our stylists are World-class professionals and they all have a genuine commitment to the happiness of our clients. At ISH Salon we have over 200 colors available to suit your every need and desire. We promise to exceed your greatest expectations. Our amazing and talented stylist! They're here to listen, learn, and everyday, strive to provide the most professional hair service available. We offer a complete range of skin care services to make you feel your best. Regular pampering can keep your skin healthy and glowing for years to come. Our #1 goal is to provide our clients with the best hair experience (period). You may ask, how? And we'll tell you! Our amazing and talented stylist! They're here to listen, learn, and everyday, strive to provide the most professional hair service available. This is our recipe for success, and our success is measured by your satisfaction. Book an appointment or just stop in to say hello - we would love to meet you! Special offers only at ISH Salon. Take advantage of our limited time offers. ISH Salon cares about you. We are offering free hair shampoo & massage to customers that request this special. Our hair specialist will make you feel good by masssaging down your scalp leaving your hair refreshed and energized. ISH Salon REALLY cares about you. We are offering free hair treatments to customers that get a cut and color. 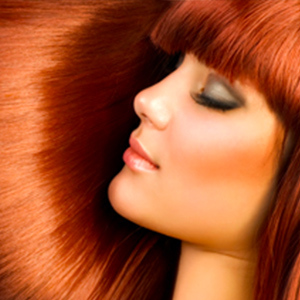 Our hair specialist will offer you a full treatment to make your hair rejuvinated and beautiful. Take care of Yourself and feel good! Thanks for visiting us, we hope to see you soon! © ISH SALON 2015. All rights reserved.